. 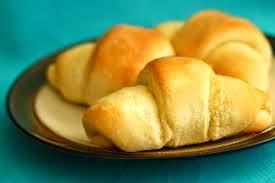 Thurston Recipes: The best rolls ever! On the lookout for delicious recipes with the holidays right around the corner? This is a MUST try! One bite of these delicious, buttery, melt in your mouth dinner rolls and you won’t be able to stop eating! The kids will love opening these thankful rolls. It’s just like a fortune cookie!